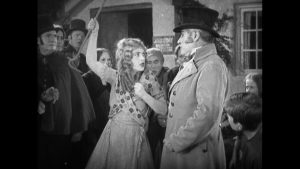 A delightful emigrant comedy about a young Irish girl who comes to America disguised as a boy in order to claim a fortune left to her late brother. 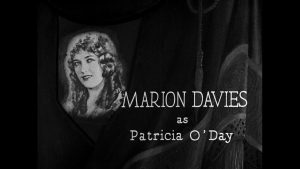 Marion Davies shines as Patricia O’Day masquerading impishly as a boy and cleverly negotiating the world of high finance, steam ships and bare-knuckle boxing while falling in love with her cousin Larry Delavan (Harrison Ford). 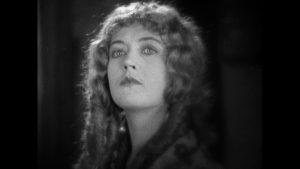 Directed by Sidney Olcott (formerly of Kalem Films 1910 – 1915), who was no stranger to Irish emigrant drama, and lavishly produced by newspaper magnate William Randolph Hearst (with whom Davies was romantically involved) the film was a huge box office success. With accompaniment by pianist Morgan Cooke. The film was recently acquired from the Library of Congress in Washington with the support of The Gladys Krieble Delmas Foundation.